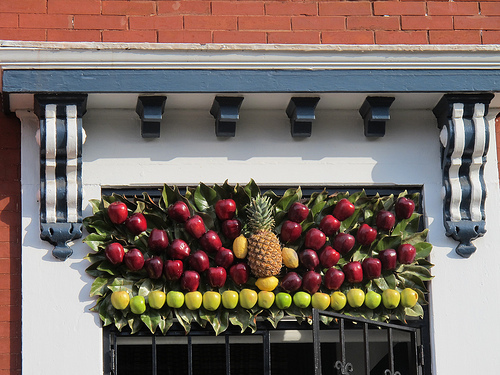 I spotted a great temporary transom make of harvest materials on 8th Street NW between O and N on a small house next to the church. This is a great one! I think they had a similar display last year as well. 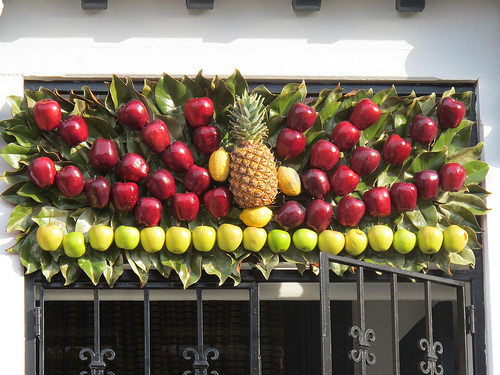 This is probably my favorite non stained glass transom in town.